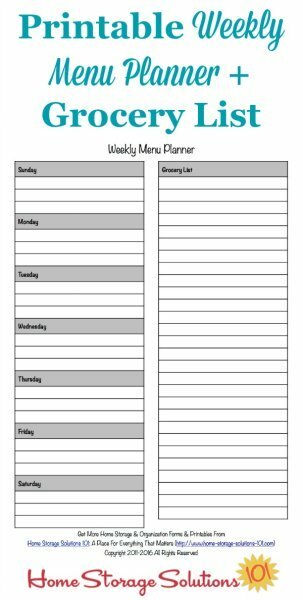 Below is a free printable weekly menu planner template which allows you to plan your family's meals for the week, plus write the grocery list all on the same form. 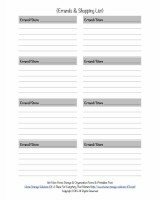 Using this form is pretty self-explanatory for the most part, especially if you read the Healthy Meal Planning Challenge article that this form is designed to accompany. In that article I've discussed the strategy behind meal planning in a lot more detail. 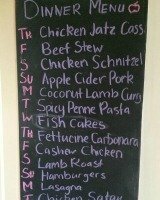 But what you may notice if you've been on this site for a while is that this is actually the second weekly planner for your meals that I've put up. 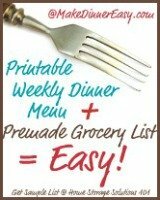 The first one I created (which you can get here) has spaces for planning each of your meals for the day, breakfast, lunch and dinner, on the form for the week, and then there is a separate printable you can use for filling out your grocery list for the week. This newer form is one that people have been asking for, so I am providing it. The difference in the form below is that there is less space for planning meals, because I know some people don't plan all three meals per day, but dinner only, for example, and then half of the form is devoted to your grocery list. 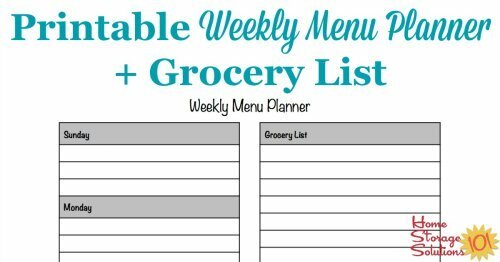 That way, instead of having two forms to fill out each week, one for your meal plan and one for your list for the store, in this form it's all combined into one. In my opinion neither of these forms is superior to the other, they are just different. So choose the one that fits your personality and your needs best. The important thing is to get into the habit of planning your meals, so I say use the one that helps you with that task! Just as I suggested with the previous template form, you can either print a new one of these forms out each week, or you could add it to a page protector and then use a dry erase marker to fill out the form each week, and then erase and start again so you didn't need to keep printing out additional forms.